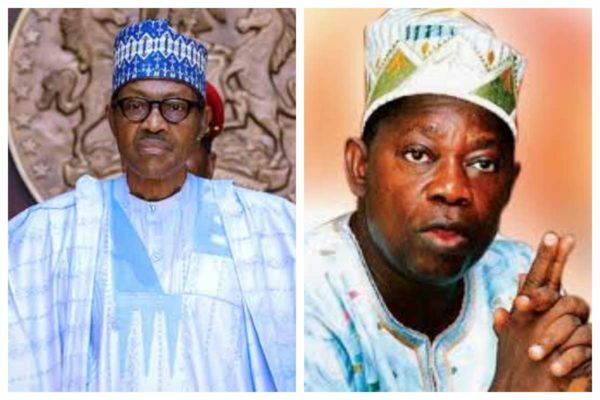 Son of the winner of the annulled June 12, 1993, presidential election, Chief Moshood Abiola, Jamiu said the Yoruba should vote massively for President Muhammadu Buhari to honor his father. Jamiu, who is a member of the Directorate of Contact and Mobilisation of the Women and Youth Presidential Campaign Team, described Buhari as a detribalized leader, Sunday Punch reports. Speaking with journalists in Lagos, Jamiu said Buhari should not be described anywhere as tribalistic, adding that if he was, he would not have honored his father 25 years after the annulment of the election. “People have to understand that any man that can honor a victory won by another man from another tribe is not a tribalist. If he was tribalistic, he would not have done what he did to M.K.O Abiola. “Buhari had even said in the letter of honor that June 12 is more important than the Independence Day, Nigerians should understand that and I believe that the Yoruba that I know will not betray Chief M.K.O Abiola in his grave by voting against a man who honored him.